This column will be light on copy and heavy on images. The purpose? 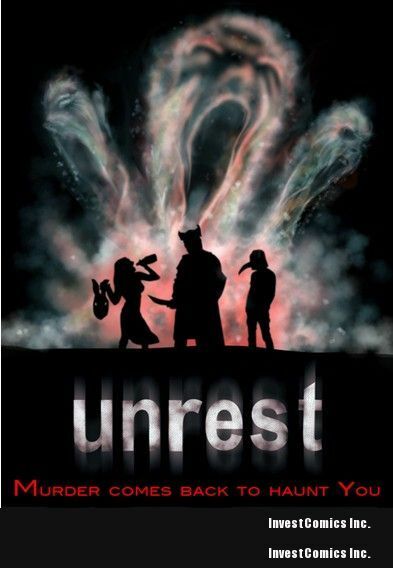 To show you the evolution of a movie poster for a micro-budget film − namely, the concept poster for my “currently-seeking-funding” film called UNREST. Write your script, then re-write it and re-write it again. Get an entertainment lawyer to help hone your business plan, Profit Participation Memorandum and Subscriber Agreement. Determine what location (and hence state) you are filming in so you can establish your Limited Liability Corporation (LLC). Work with your entertainment lawyer to set up your LLC and Operating Agreement (the rules governing your LLC). I also hired a Line Producer to do a budget (which turned out much higher than I expected), which forced me to re-write my script yet again. I’ve submitted my script to additional actors and directors for consideration and a few screenwriting contests (whose valid commentary will force my hand to do another polish to tighten the script and some loose story lines). All the while, it is important to look for investors and others who can make your project happen. It takes a while to get the money (sometimes years − yes … “Y-E-A-R-S”!). But while waiting, it is important to keep the momentum going − establishing more contacts, learning more about indie filmmaking and distribution, and exploring ways to pre-market your film to build “buzz” and a fan base. The thread had nearly 100 comments but most weighed in on the side of creating the “one sheet” or concept poster that presented the big ticket concept of your film visually. My poster was a bit tricky as it entailed two concepts: a brutal home invasion and a ghost story that were linked together. After posting an ad on a few boards (such as www.nefilm.com), I got 30-ish replies and made my choice. I had the artist sign a deal memo and paid a fair price for the artwork (at least for a micro-budget film). 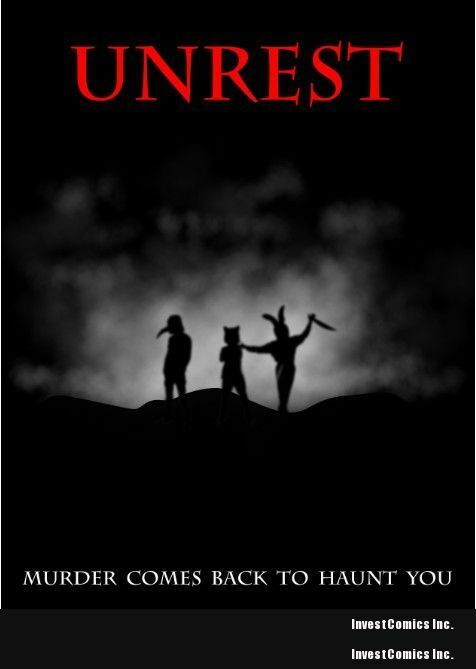 My feedback was that it looks good, but didn’t tie in the ghostly back story enough. I wanted the fog behind to be more “ghostly” and I wanted the figures – especially the center character – to be more intimidating. 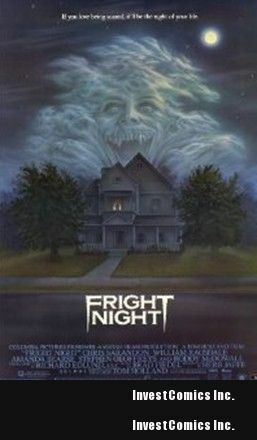 The artist came back with this concept which was closer − he pretty much nailed the silhouette figures in the front (representing the masked home intruders) but the apparition in the back looked like a “singing ghost”. Eureka! 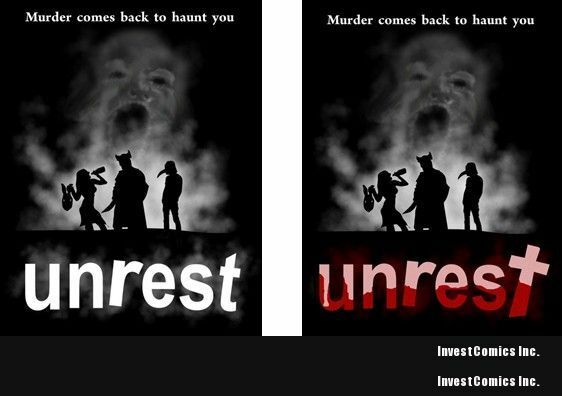 The artist went with three shrieking ghost heads (there were three unjustified deaths at the outset of the film) and added some red to add dimension to the black and white artwork. The result was a very powerful image that made the poster multi-dimensional and attention getting. Note the subtle shading and accents made to the three home invaders and the swirls of ghostly matter surrounding them rather than being in the background. To me, this implied that the ghosts were somehow connected to the intruders (which they were via a twist at the end). As for the artist, his name is Chris Waters and you can find more of his work at his website here. He did a great job and was easy to work with, taking direction well and putting any extra time that was required. He just may be the next great horror artist who does a Rob Zombie CD cover or block buster film poster. 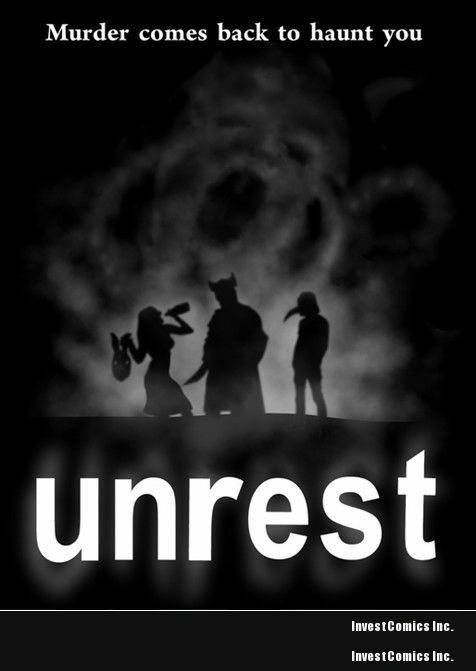 Thanks for checking out the making of the movie poster for UNREST. I hope you enjoyed this column and invite you to take the time to leave a comment about the concept art as I’d be interested in people’s reaction. I will continue to provide updates on the long, torturous yet exciting process to get a film made. I will also have a website in the weeks ahead. If you want to know more about the project, you can reach me at bobheske@gmail.com. 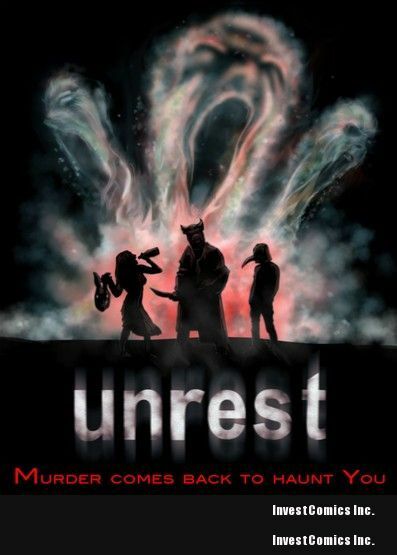 An award-winning indie comic creator and screenwriter, Bob Heske is currently writing/producing a micro-budget horror film called UNREST (http://www.indiegogo.com/unrest). Bob wrote THE NIGHT PROJECTIONIST, a vampire horror series to be published by Studio 407 (http://www.studio-407.com) with film rights optioned by Myriad Pictures. Through his Heske Horror shingle (http://www.coldbloodedchillers.com), Bob self-published his critically acclaimed horror series COLD BLOODED CHILLERS. Bob’s trade paperback BONE CHILLER (a “best of” CBC anthology) won a Bronze medal in the horror category at the 2009 Independent Publisher Book Awards. His “end times” anthology 2012: FINAL PRAYER was also released in late 2009. Email him at info@coldbloodedchillers.com. Now that final look for the poster is a fine looking poster indeed! Loved it. The article, the suspense 😉 of the unfolding images, the explanation. Brilliant. And I’m a comedy screenwriter. We’re all visual people. 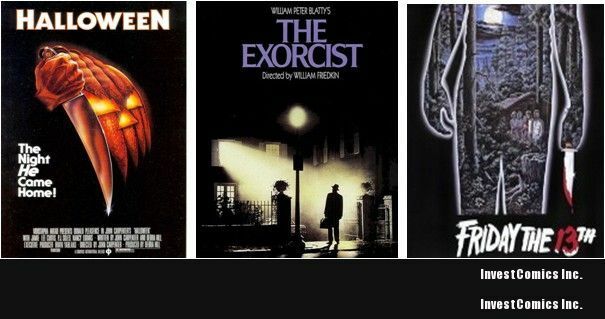 I wonder what a horror-comedy would look like. Enjoyed the article, thanks for sharing. A suggestion for the next go’round. Consider a 3-D poster, having the antagonist starting to emerge from the poster. We can do that. we specialize in 3-D branding. Looking forward to visiting with you. I’ll be sure to chek those out, they look interesting, thanks for the article.